Cities and towns across the country will fall silent on February 1, the start of Black History Month, in memory of the two Memphis sanitation workers whose deaths triggered the historic 1968 sanitation workers’ strike. Fifty years ago, Echol Cole and Robert Walker were crushed to death in the compactor of a malfunctioning garbage truck as they sought shelter from a storm. Their warnings – and the warnings of their fellow AFSCME Local 1733 members – to the city of Memphis about dangerous working conditions had been long ignored. Their deaths sparked the walkout of 1,300 fellow sanitation workers. That pivotal strike brought Dr. Martin Luther King Jr. to Memphis in April 1968 to support their cause – a fight for safer working conditions, better wages and for dignity. It was in Memphis that Dr. King was assassinated on April 4. From Albuquerque to Atlanta, Miami to Memphis and in dozens more cities, garbage trucks will come to a stop as civic leaders, faith leaders, community activists, public works departments and unions stand in solidarity and silence with one another to honor the sacrifice of Cole and Walker, whose deaths shine a light – even 50 years later – on the need to honor the sacrifices made by public service workers every day. The Moment of Silence is part of a broader I AM 2018 campaign jointly sponsored by AFSCME and the Church of God In Christ (COGIC). 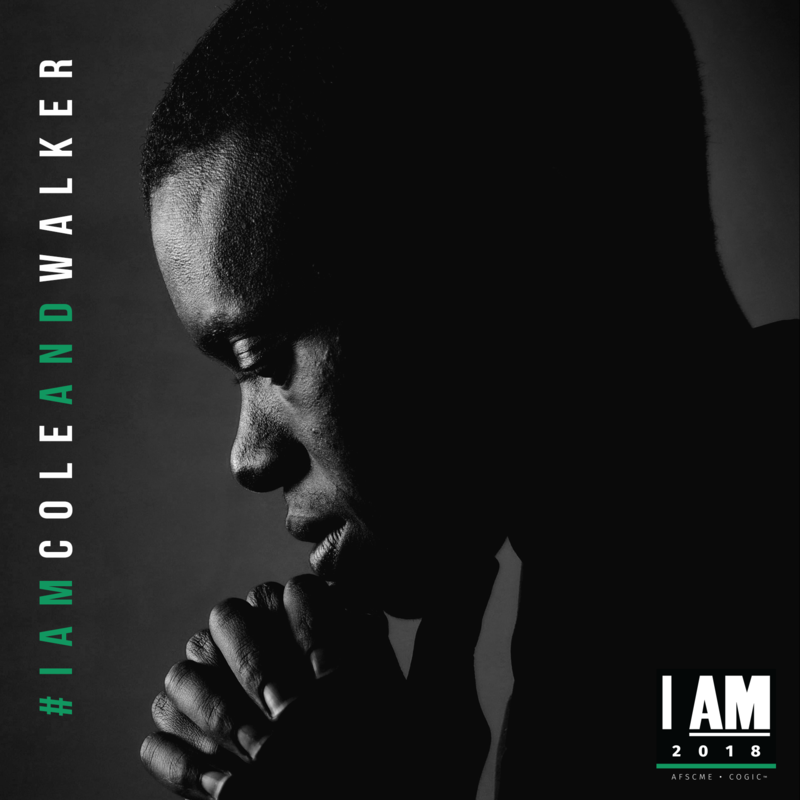 The I AM 2018 campaign is a grassroots voter education and mobilization campaign that will train thousands of activists to create change in their communities and carry on the legacy of Dr. King and the sanitation workers. It’s not too late to join others who’ve committed to observing a moment of silence. Learn more at iam2018.org.